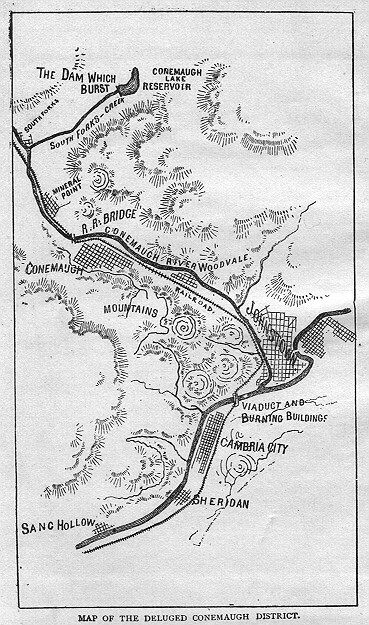 Map of the deluged Conemaugh District. 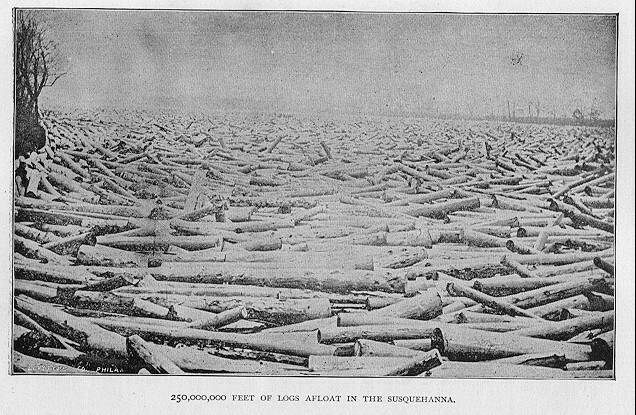 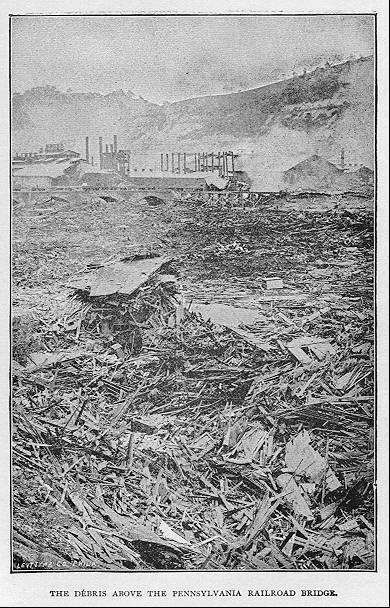 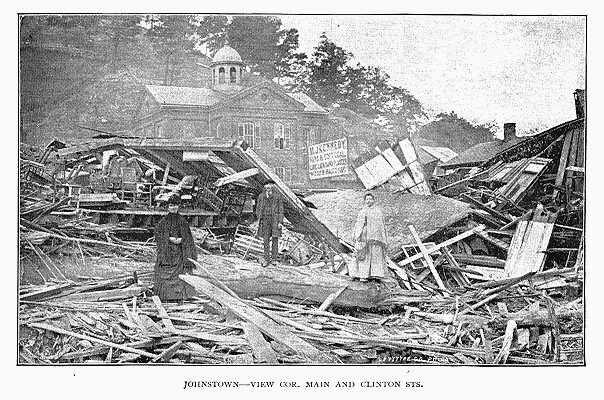 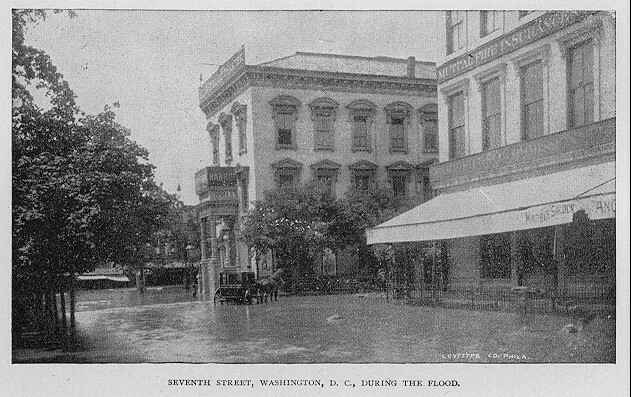 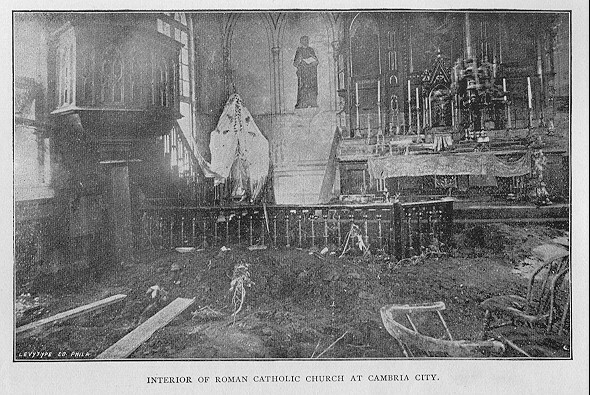 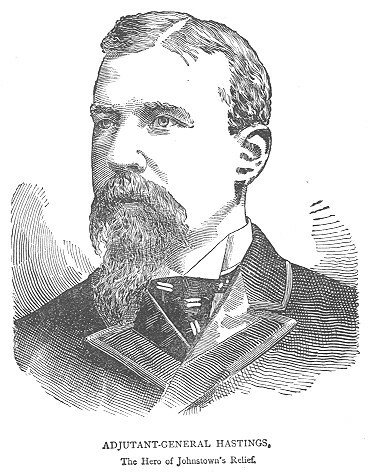 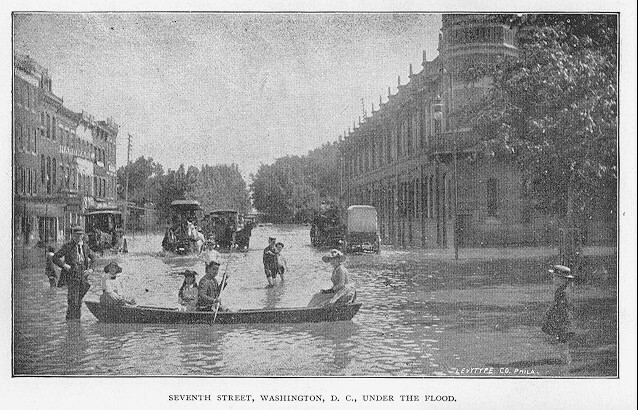 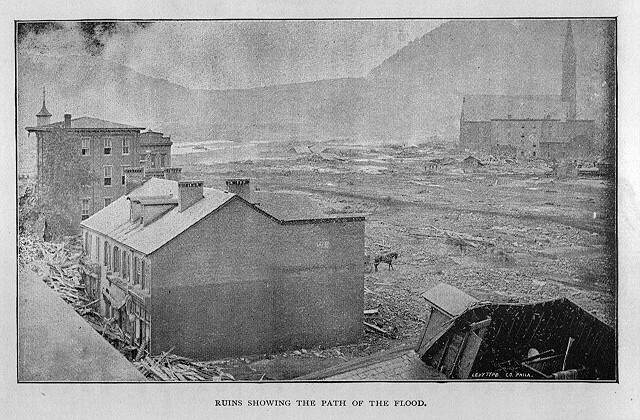 The summer of 1889 will ever be memorable for its appalling disasters by flood and flame. 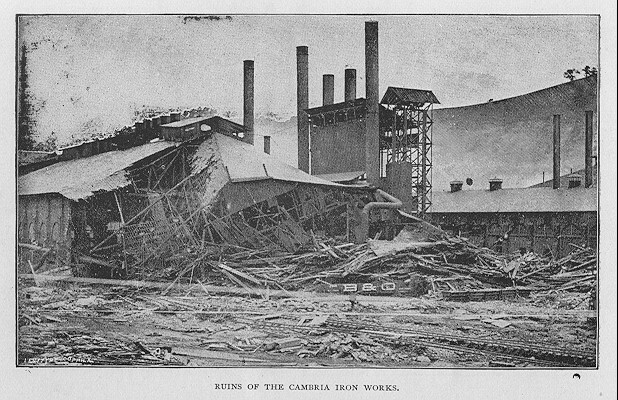 In that period fell the heaviest blow of the nineteenth century -- a blow scarcely paralleled in the histories of civilized lands. 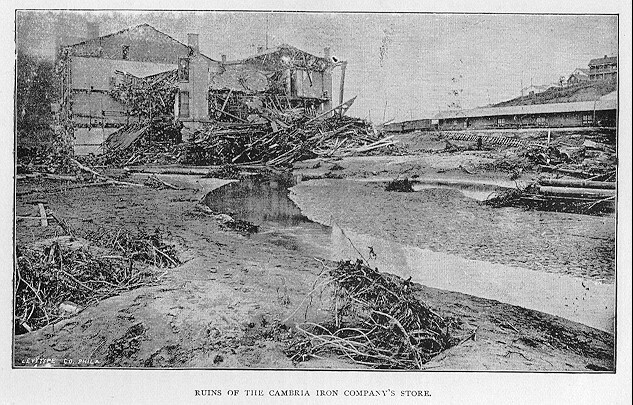 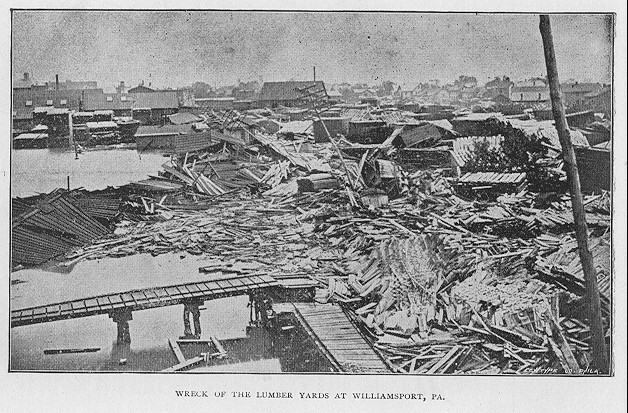 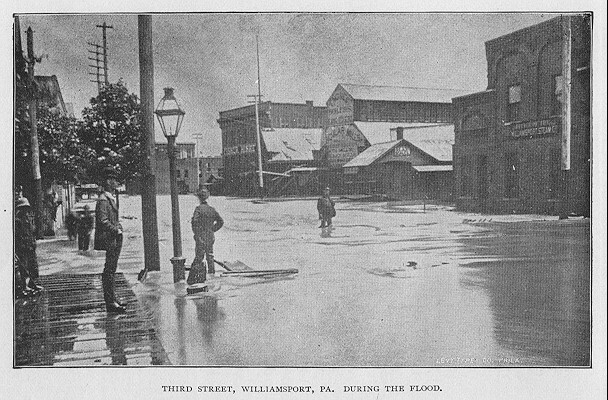 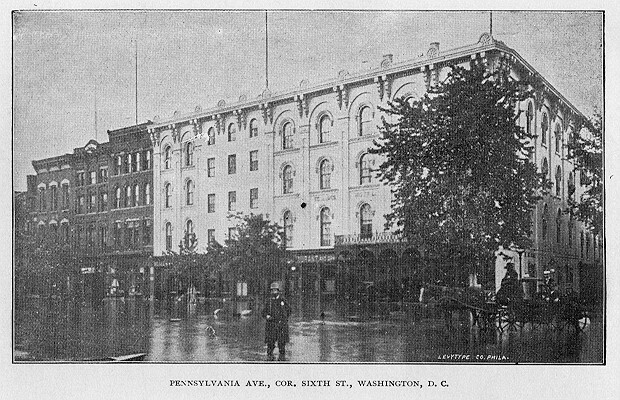 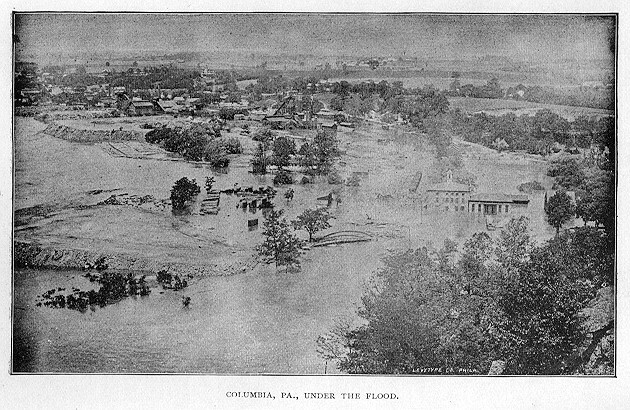 Central Pennsylvania, a centre of industry, thrift and comfort, was desolated by floods unprecedented in the records of the great waters. 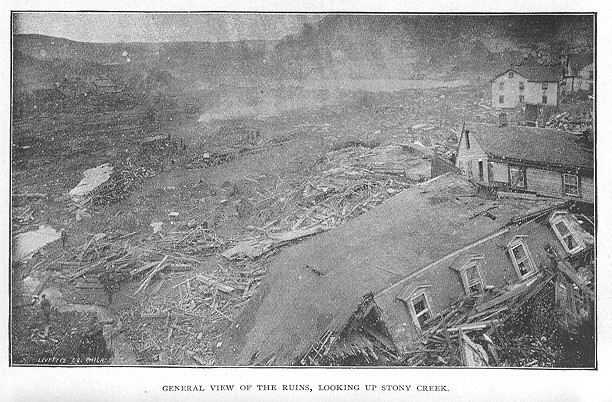 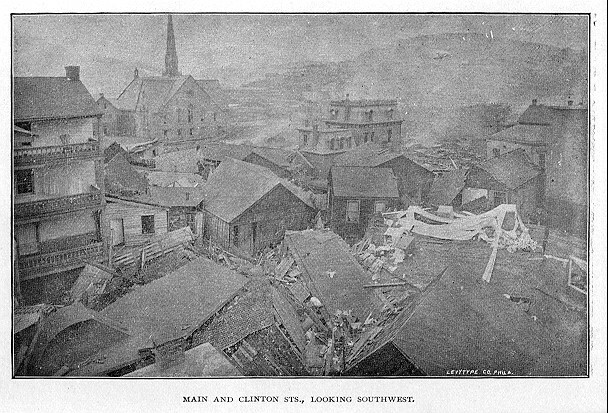 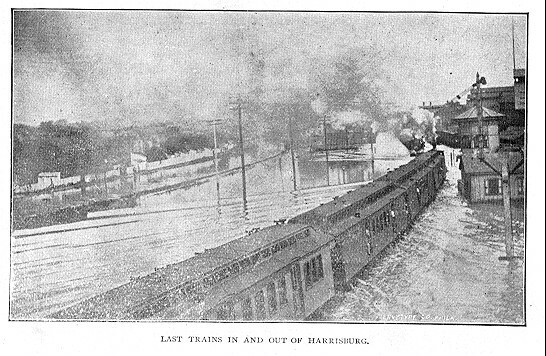 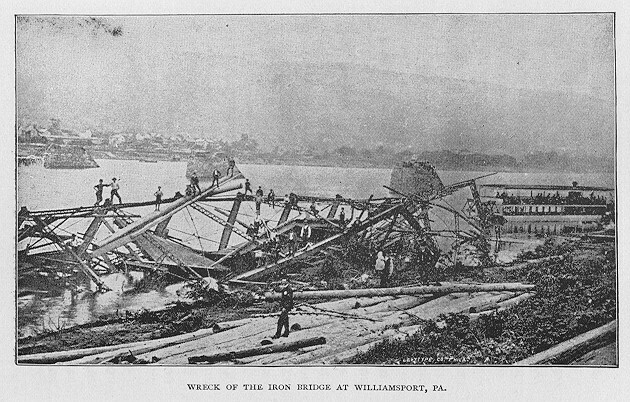 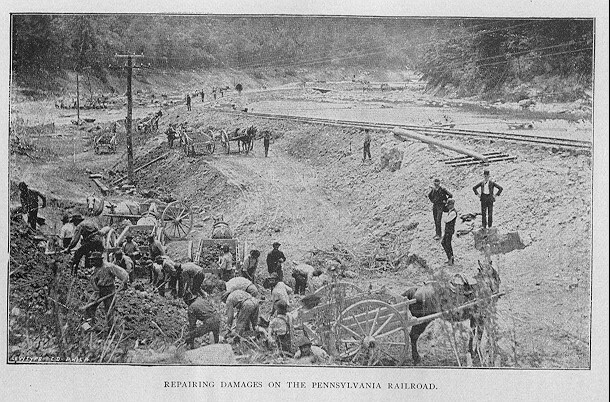 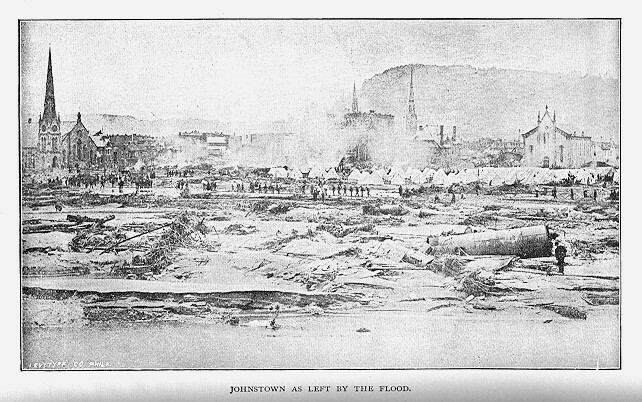 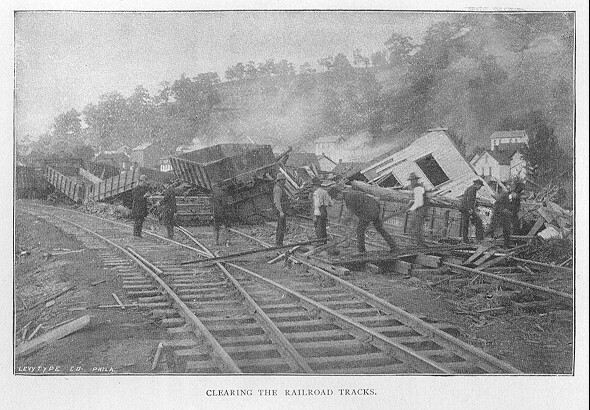 On both sides of the Alleghenies these ravages were felt in terrific power, but on the western slope their terrors were infinitely multiplied by the bursting of the South Fork Reservoir, letting out millions of tons of water, which, rushing madly down the rapid descent of the Conemaugh Valley, washed out all its busy villages and hurled itself in a deadly torrent on the happy borough of Johnstown. 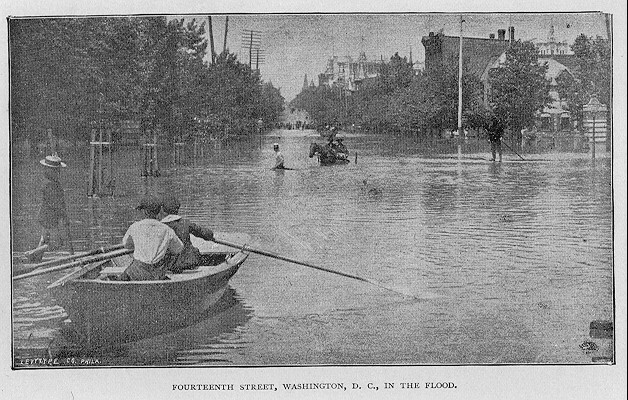 The frightful aggravations which followed the coming of this torrent have waked the deepest sympathies of this nation and of the world, and the history is demanded in permanent form, for those of the present day, and for the generation to come. 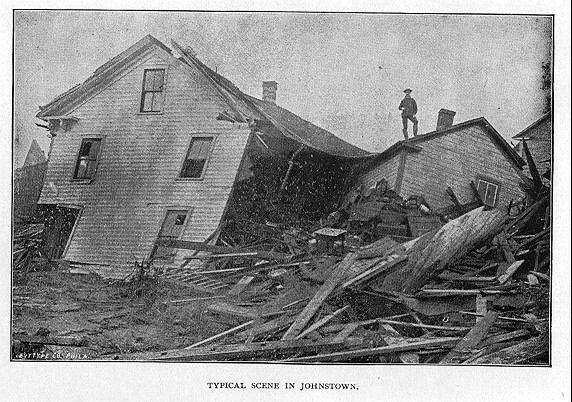 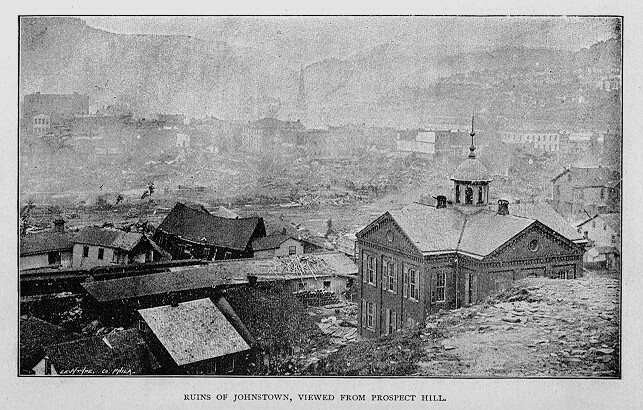 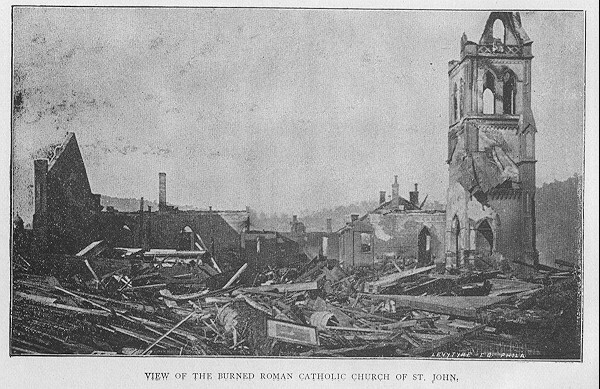 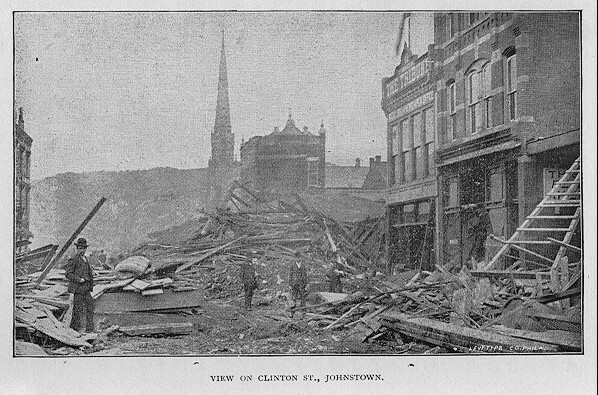 Panoramic View of Johnstown Before the Flood. 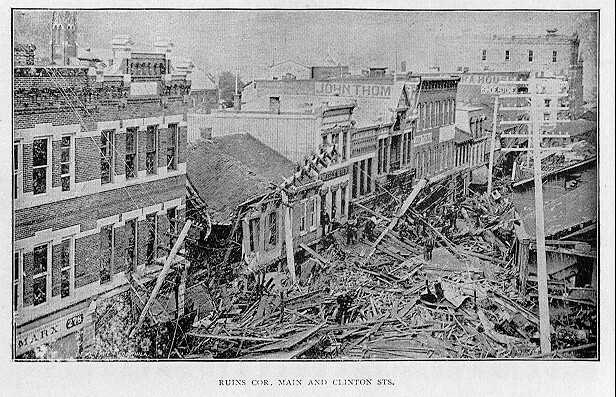 Betty Mirovich and Diann Olsen for the county web site in 2001. 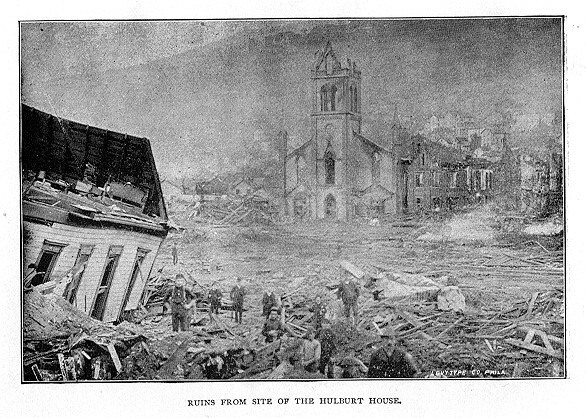 Archives version created in 2004.